If you want to see what a real hassle-free office removal is, you should do only one thing – call us and have our team of experts manage your upcoming office relocation project. With us, moving offices becomes easy, stress and strain free. The many office removals in Earls Court that we have successfully carried out and the constant positive feedback that we get from our clients comes to prove that and this is both the best prove and the highest compliment that we can imagine. 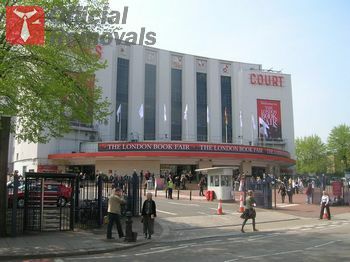 We are the leading experts in the field of office removals in Earls Court and we are ready to do whatever it takes to defend our reputation. Our list of services covers every potential need you might have during your office relocation. Our work begins when you first call us and our customer service specialist provides you with a free no obligation quote for your project. All your questions will be answered and all your concerns will be taken away. In case you decide to hire us for your removal, we will tailor an individual plan according to which we will proceed with your project. We will consider all your needs and requirements and we guarantee that we will come up with the best solution to your problems. The next step will be booking the time for your removal. Again, we will comply with your preferences and we will come move your office at whatever time will be most comfortable for you, your employees and your business as a whole. We will not fail to move your office quickly and efficiently, so that you will be able to resume work on the very next day. As it was already said, we will take care of everything – we will pack, load, drive, unload and re-assemble your furniture and equipment and all your items will be perfectly safe with us. Call us today to discuss your project, to get your all free no obligation quote and to book the date and the time for your upcoming office removal. Leave your office in our hands and you will not regret it.